Among these are Target, HEB grocery store, Fuzzy's Taco Shop, Fresco's Cocina, Centennial High School, Jellystone Park and more! 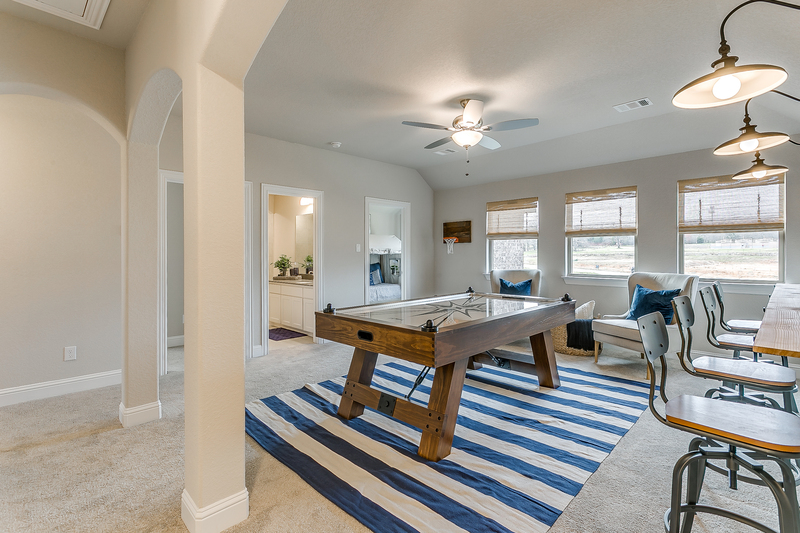 If you want the country life with city conveniences, Pinnacle Estates is the perfect community to call home. Oversized 86x120 lots - almost 1/4 acre! 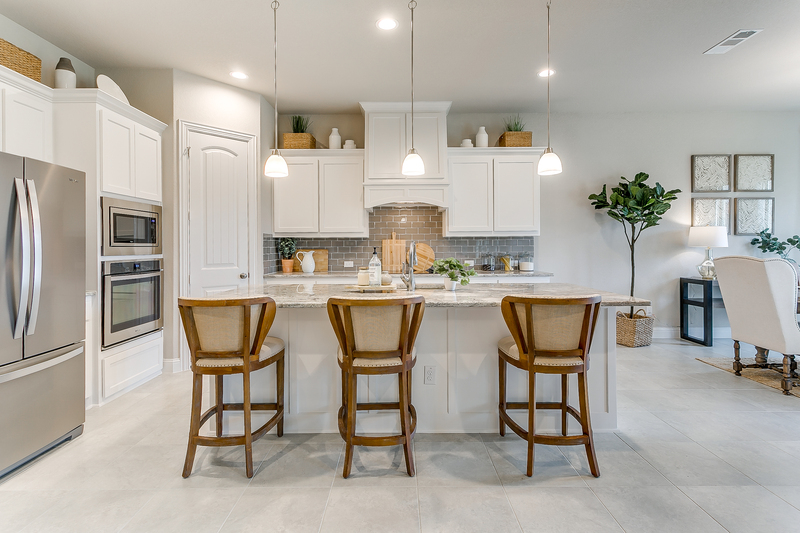 Floor plans include formal dining room options, media and game room options, as well as open concept living areas comprised of the kitchen, breakfast area, and family room. Gas is offered as an option in this community for those wanting a gas cooktop and gas fireplace. 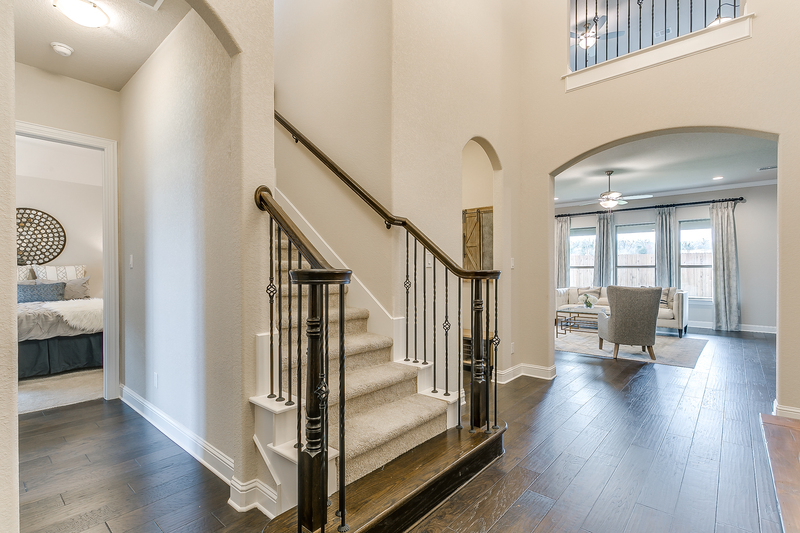 The new model home at Pinnacle Estates is the gorgeous Phoenix floor plan. 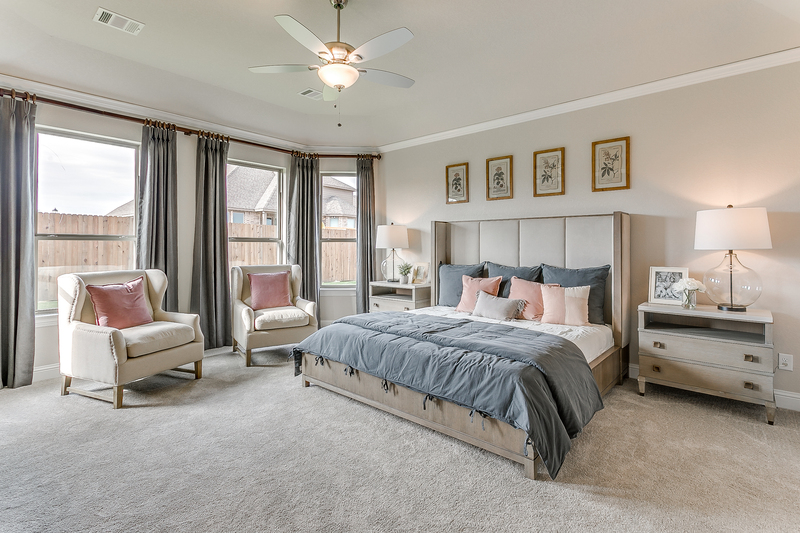 This 4-bedroom floor plan offers both a spacious master suite with 2 master closets and guest room with 2nd bathroom on the main floor. It boasts luxurious features such as a media room, 2-story family room, and study. The fireplace stands at the heart of the home. 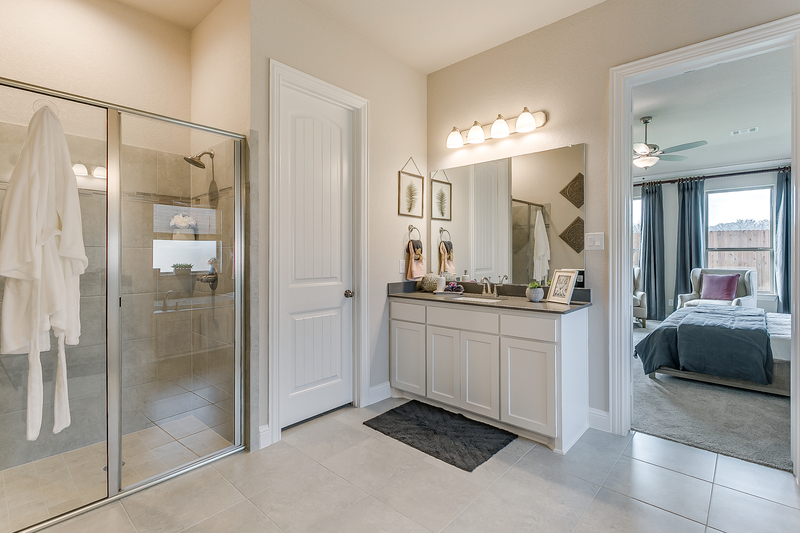 Here is a sneak peek at what you’ll see inside this well-appointed model home when you schedule your tour. Want to see more of this model? View our Photo Gallery. 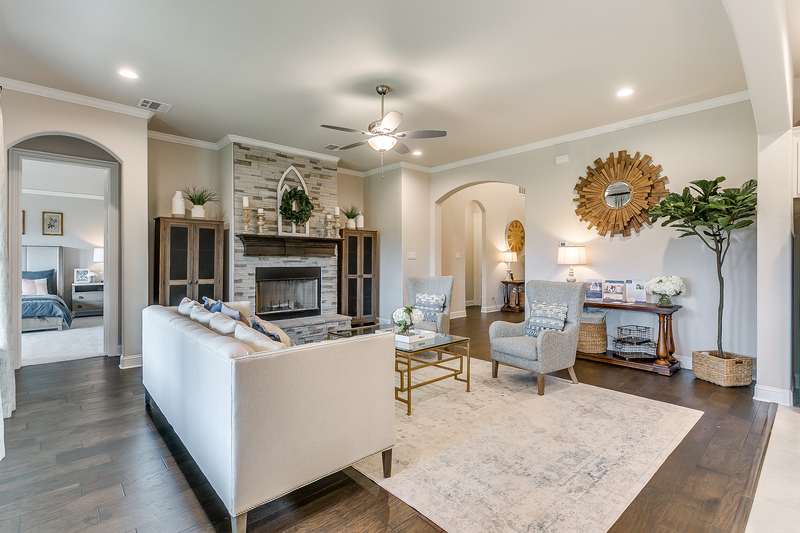 To tour the new model home at Pinnacle Estates and learn more about this Burleson, TX new home community, contact us today at 866-646-6008 or schedule a tour here. 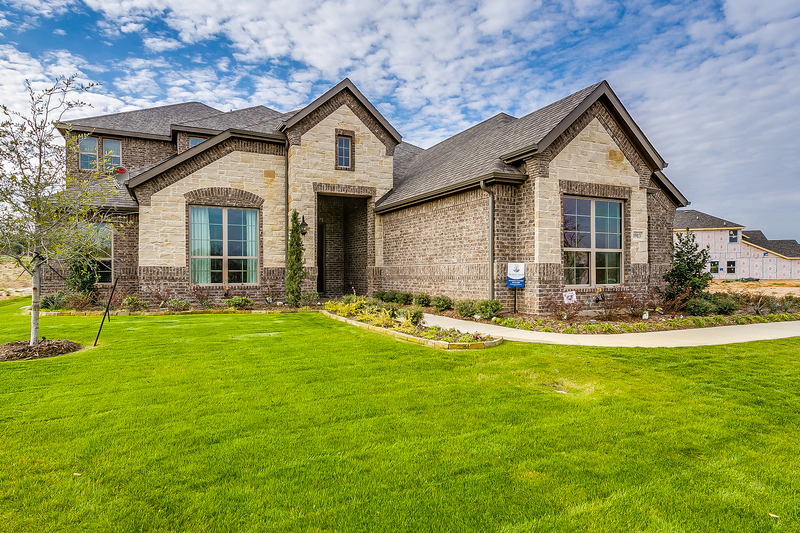 To stay up-to-date on all the latest neighborhood news and events, make sure to follow John Houston Custom Homes on Facebook.